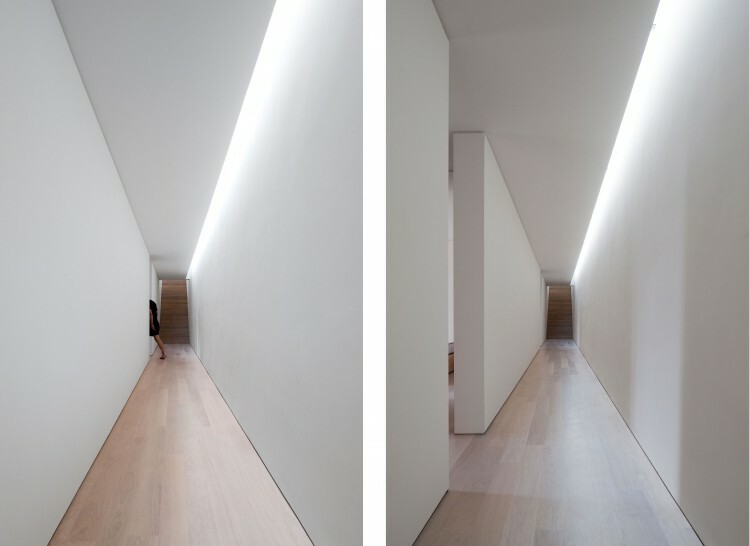 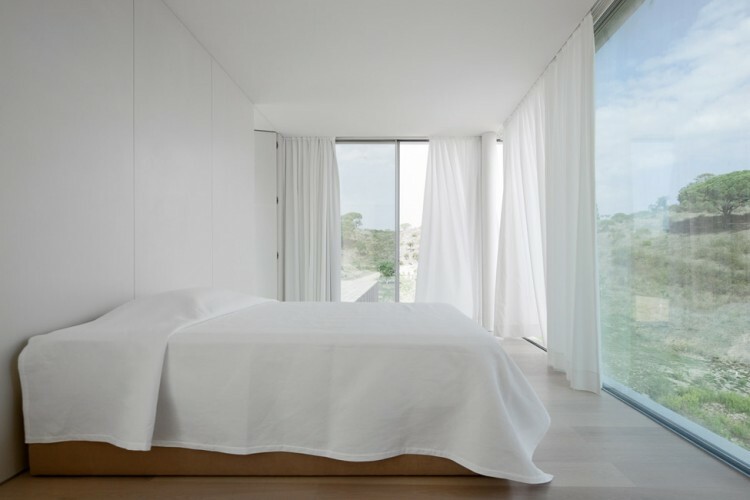 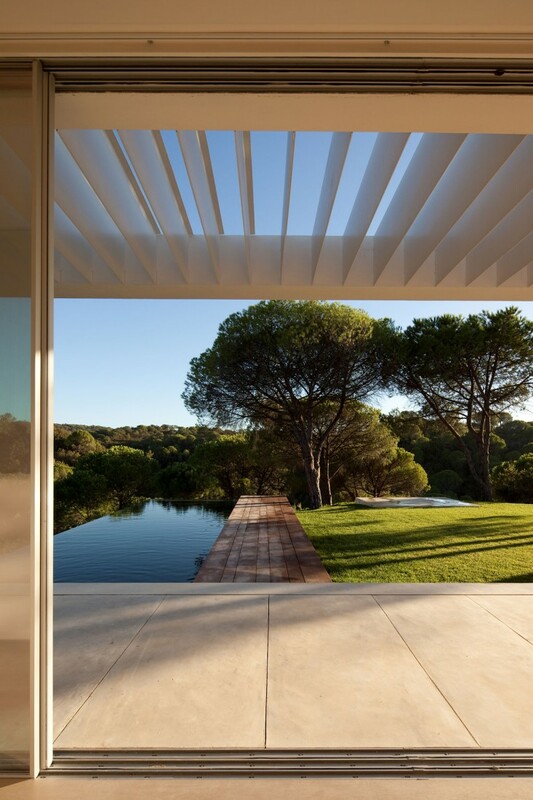 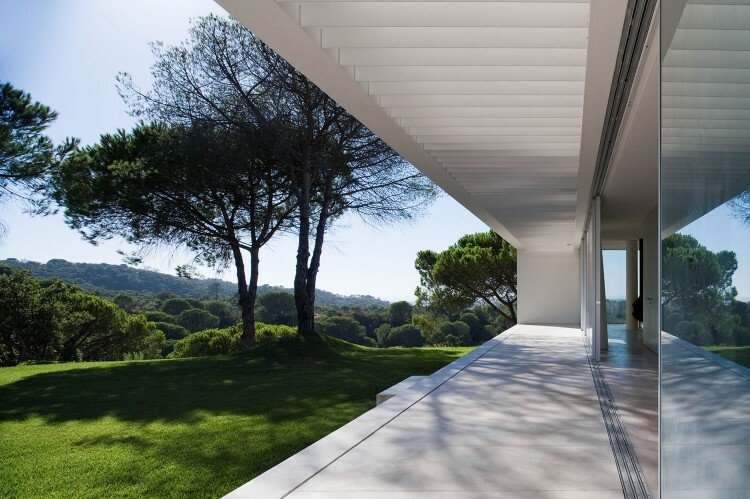 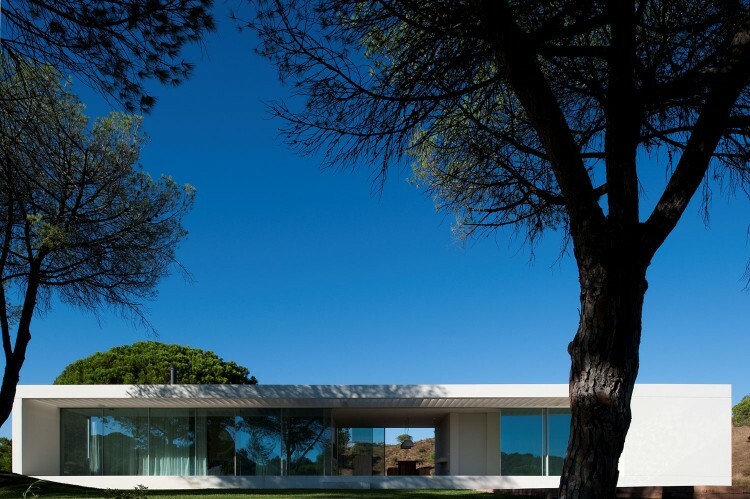 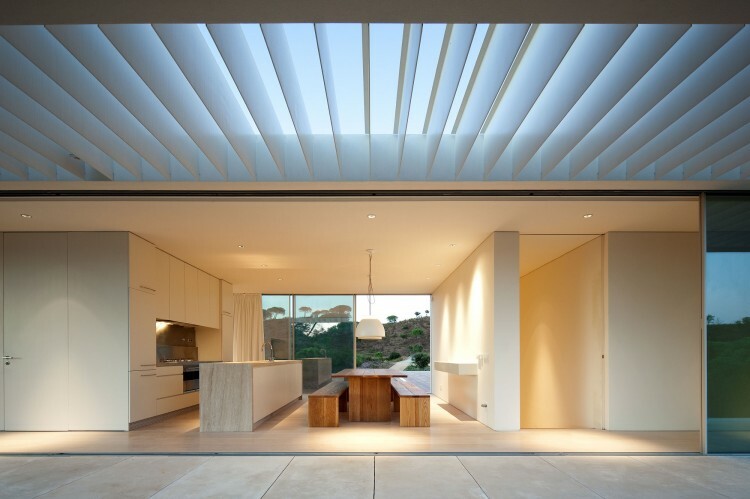 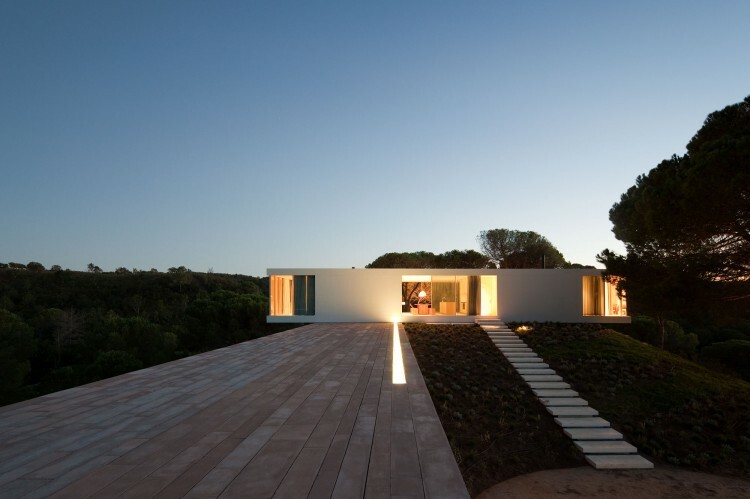 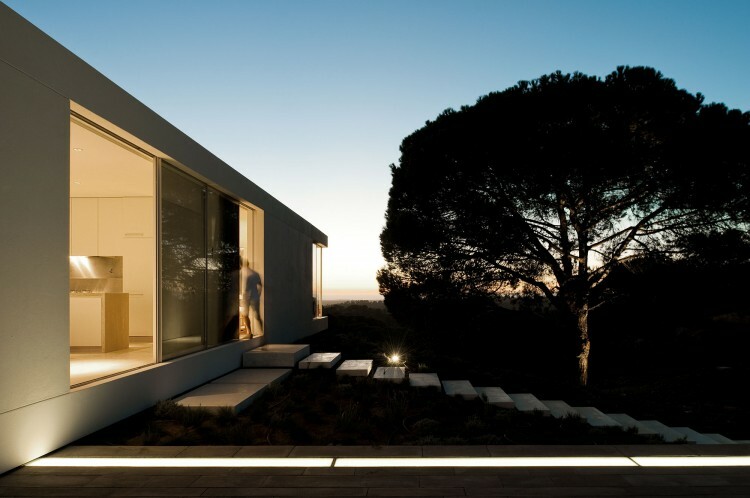 Portuguese architect Pedro Reis has completed the Casa en Melides project in 2010. 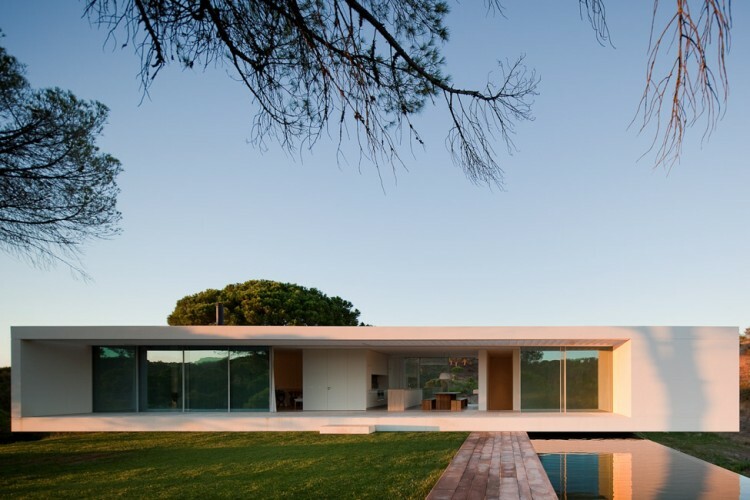 Located in Melides, Grândola, on the southern Alentejo Coast in Portugal, this 3,700 square foot contemporary residence was designed as a vacation home/week end retreat. 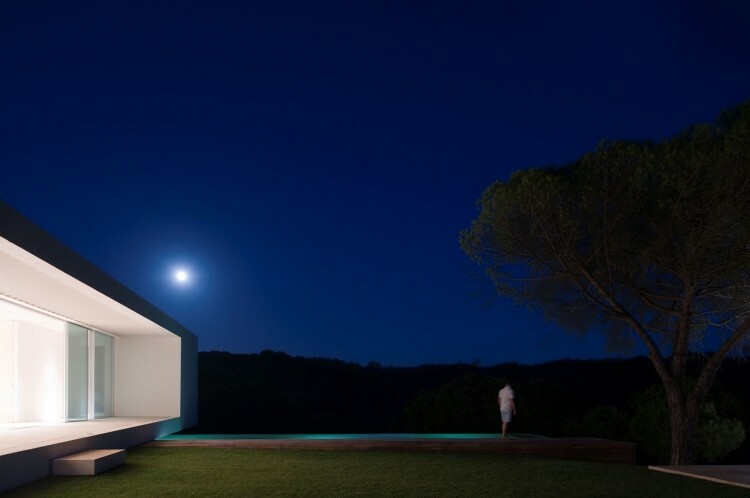 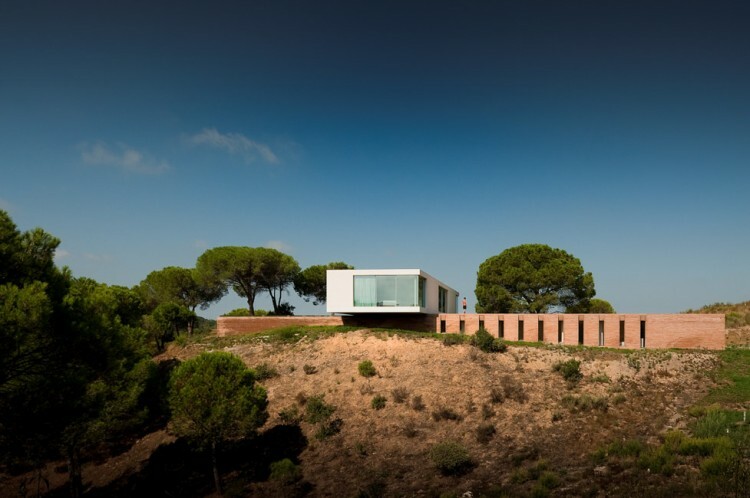 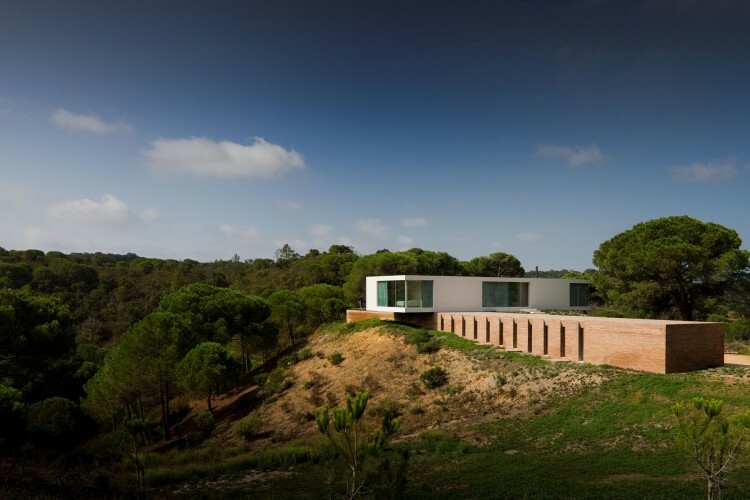 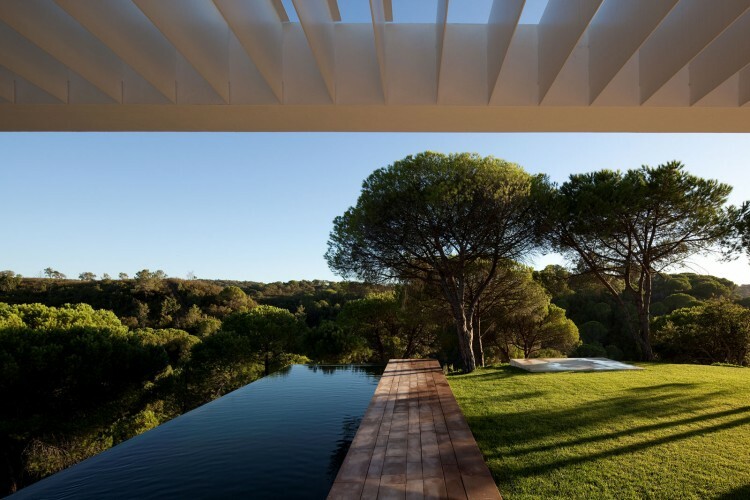 “The house in Melides, on the southern Alentejo Coast, by Pedro Reis, represents the desire for a holiday house as a getaway from the bustle of a big city. 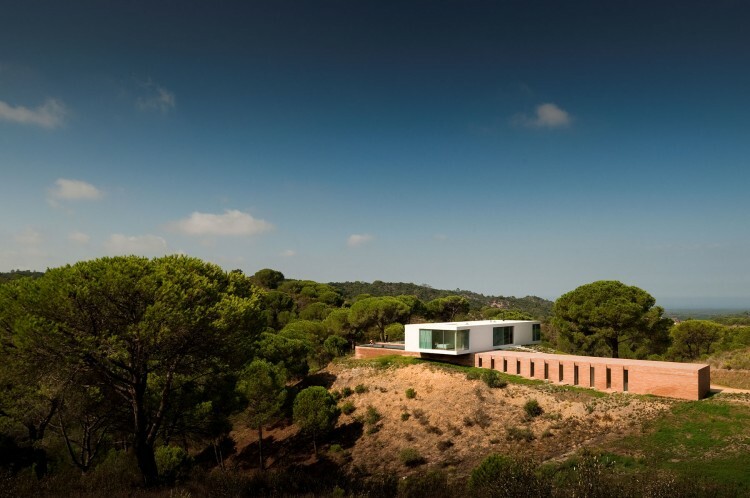 The client made the unusual decision to have an architectural competition between three distinct ateliers, allowing a choice from a wider range of possible solutions. 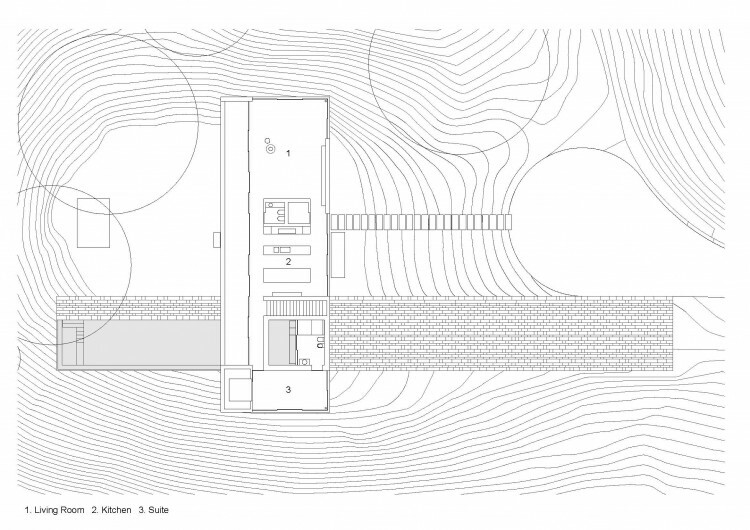 This winning proposal presents a reading of the “drama” of the natural countryside, building it on top of a steep hill relatively protected by the surrounding “rugged topography”. 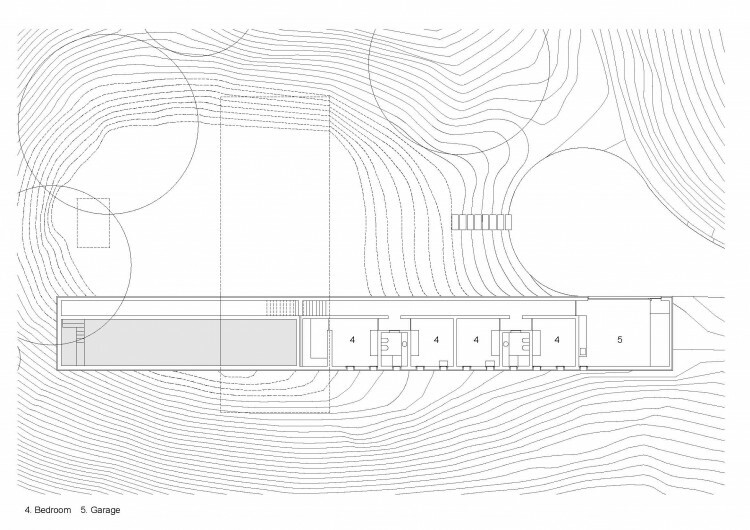 Inhabiting this site means “founding a place” by means of a “strong geometric imprint”, achieved by two volumes overlapping in the shape of a “cross”. 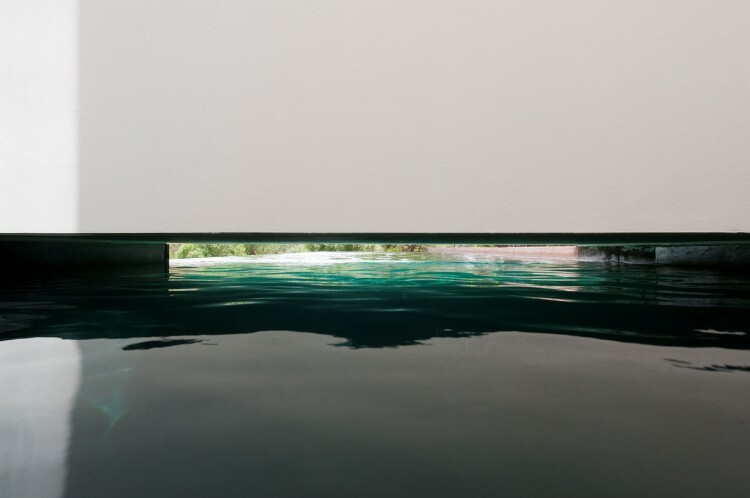 The aim of this dialectic strategy is not just to reduce the “scale and presence” of the construction, but also to “split” the programme into two areas, one more “exuberant” and exposed and the other more “intimate” and contained. 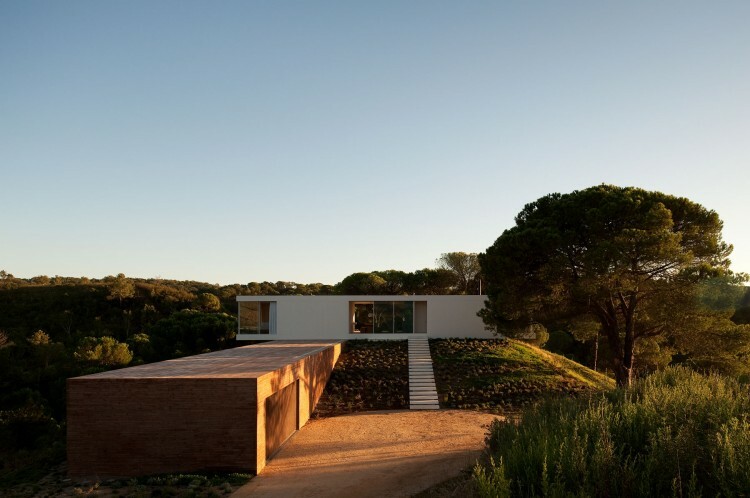 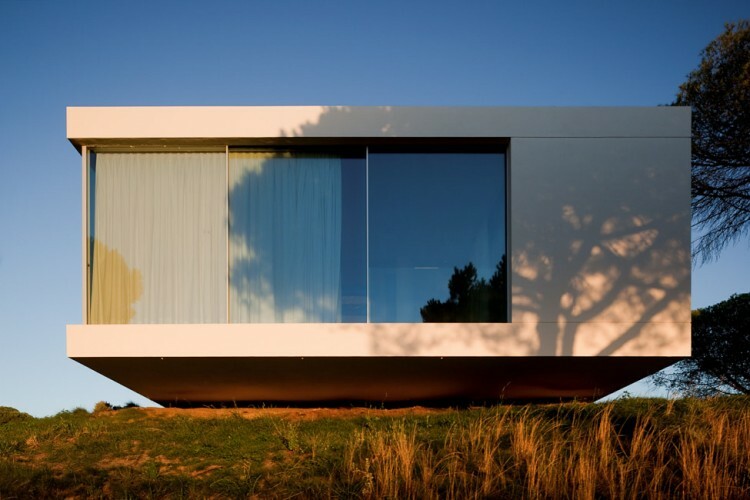 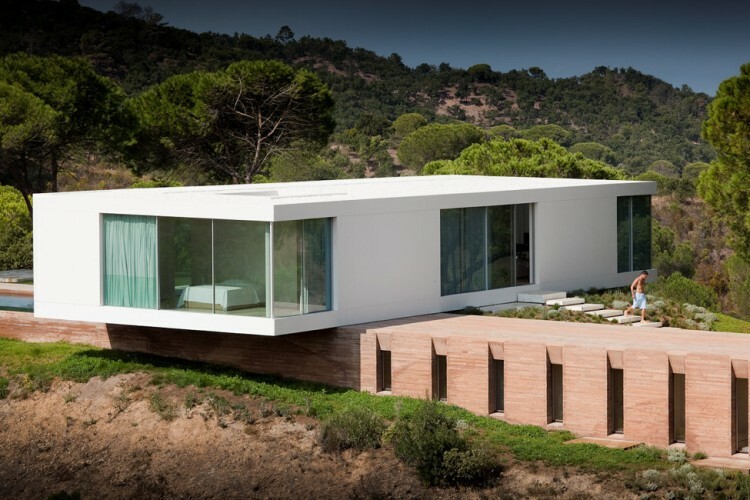 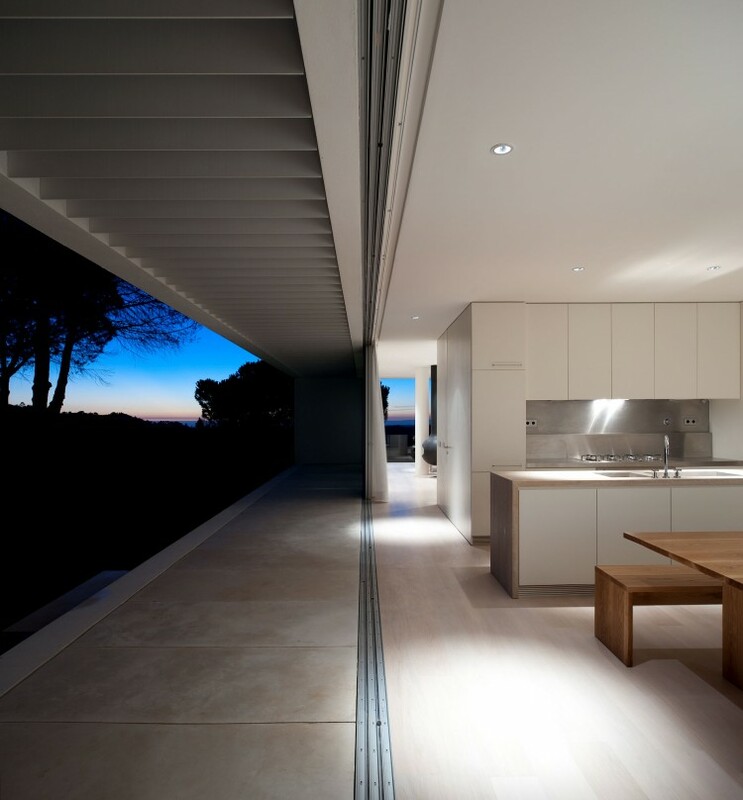 If the light upper volume recalls the synthetic image of the modern house, with large glass areas open to the scenic countryside, the “anchored” lower volume, clad with sheets of earth-coloured concrete, pre-fabricated in situ, sits on the ground, giving support and stability to the house.